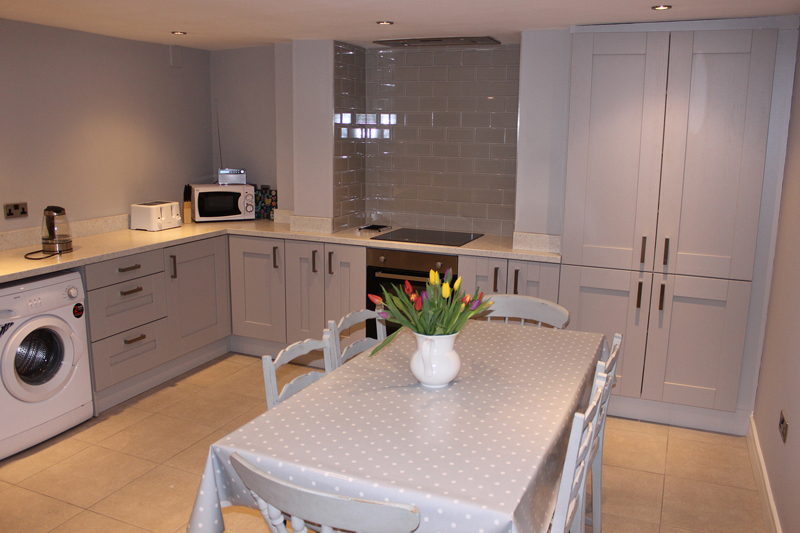 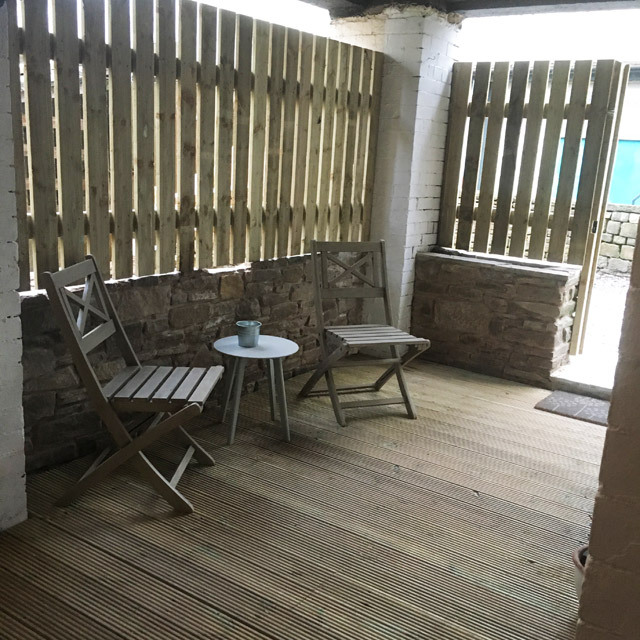 Accommodation comprises of a superb fully fitted kitchen with electric hob and oven, washing machine, microwave, toaster, fridge, kettle, plenty of work space and dining table. 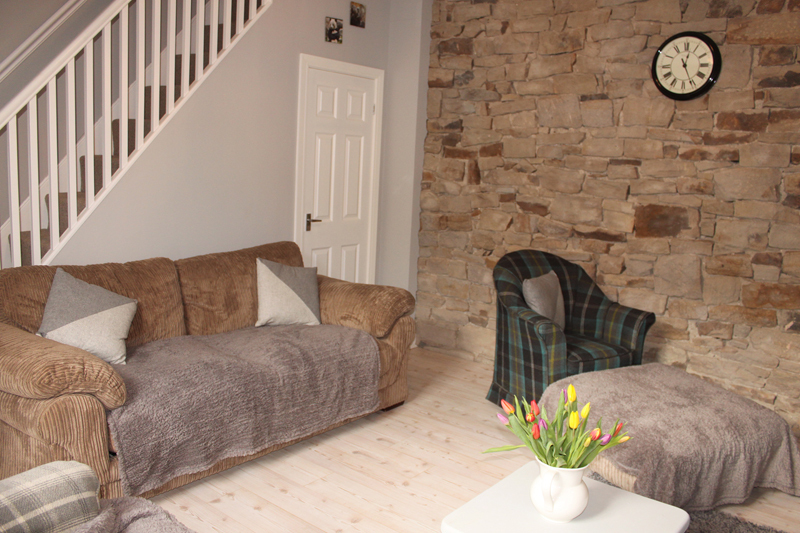 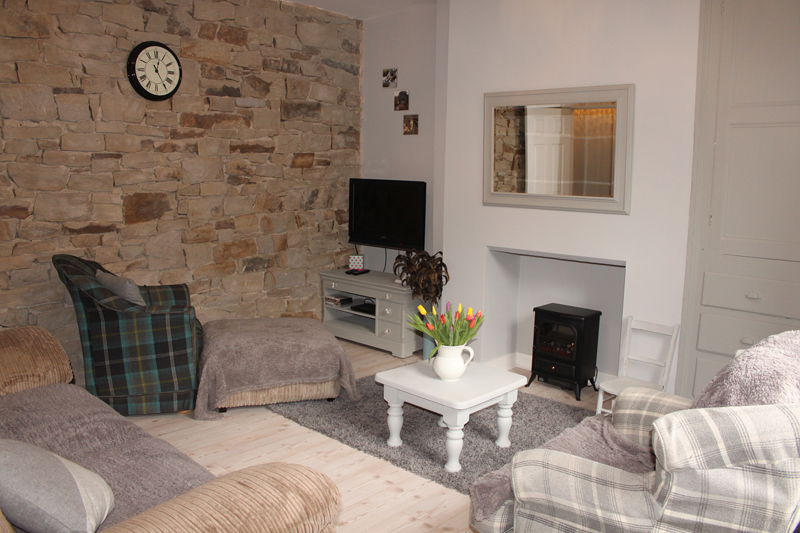 There is a lovely, comfortable lounge with exposed stone wall, sofa bed, electric fire, TV and DVD player. 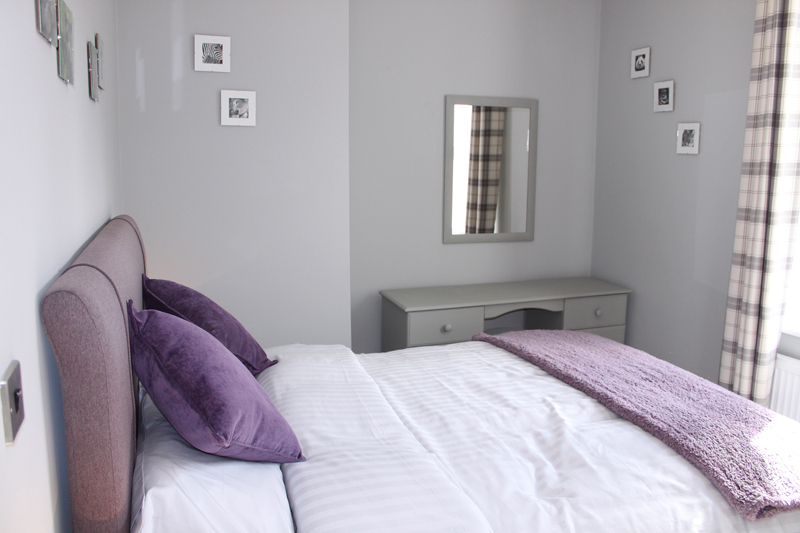 Free, unlimited wifi is available throughout the property. 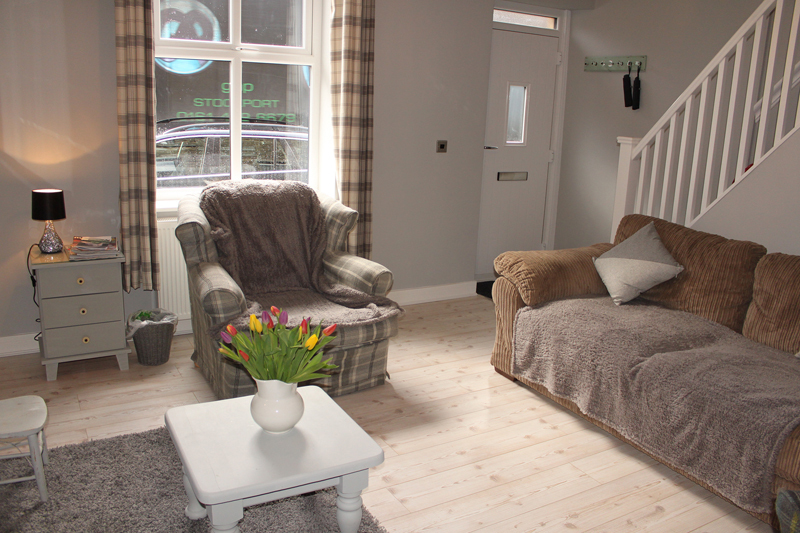 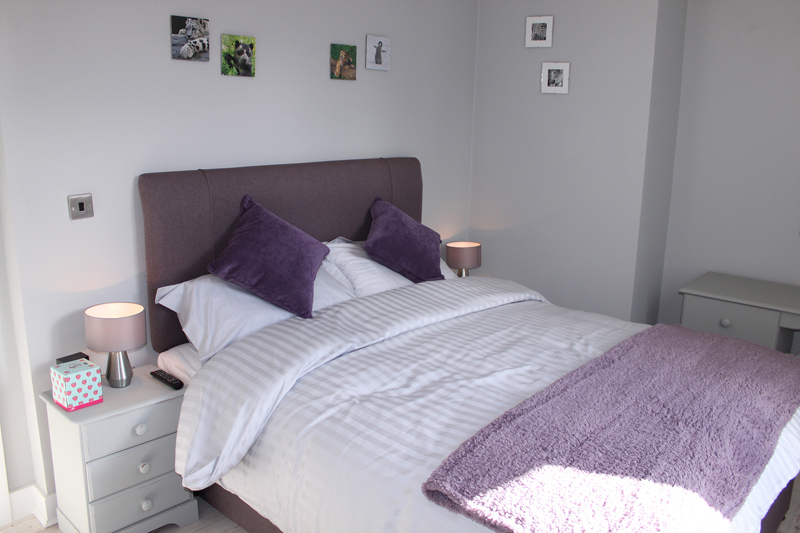 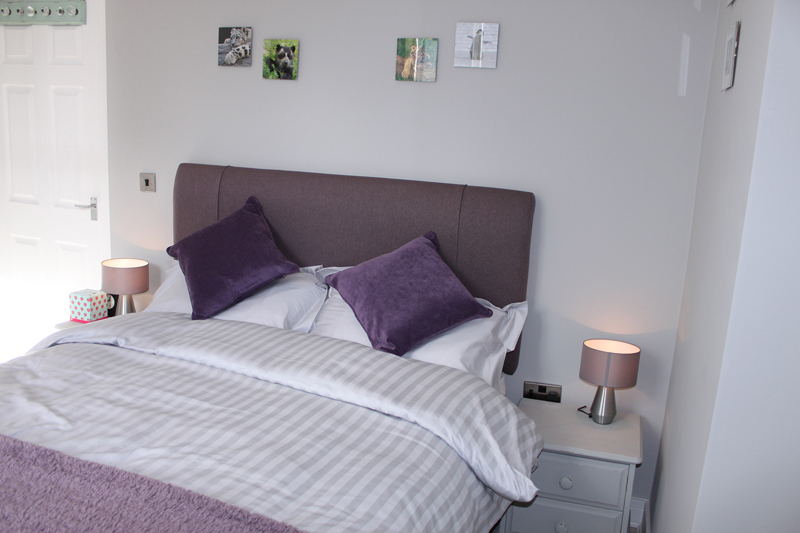 The open stairs to the 1st floor lead to the cosy bedroom with kingsize bed with Harrison pocket sprung mattress and wall mounted 32” TV. 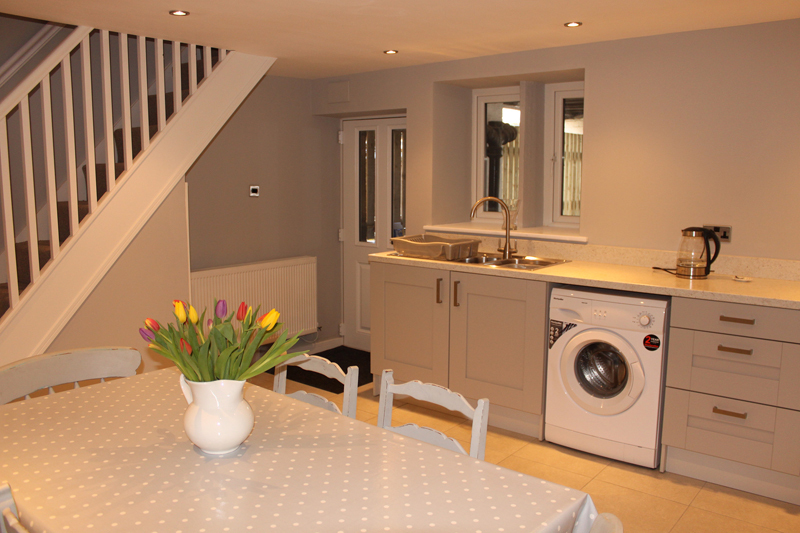 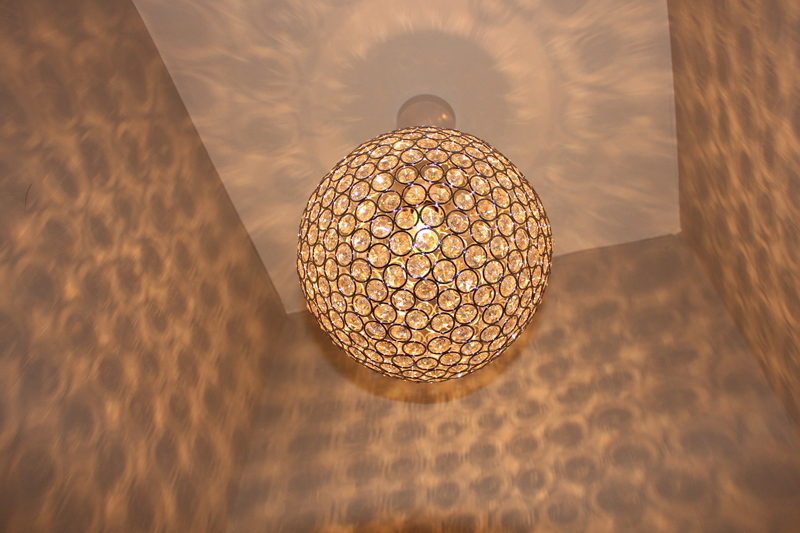 Also on the first floor is a shower room with large walk-in shower and underfloor heating. 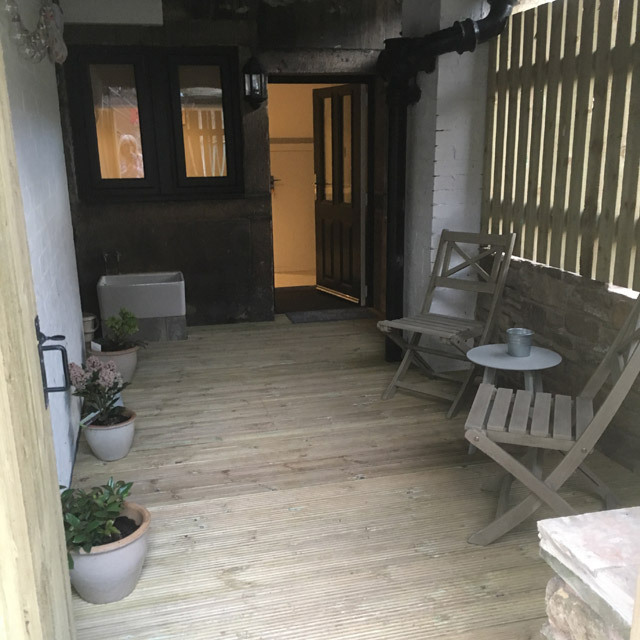 There is a small, covered, decked area to the rear of the property with seating, a sink with hot and cold water for washing muddy boots and wellingtons and a washing line for drying clothes even when it is raining! 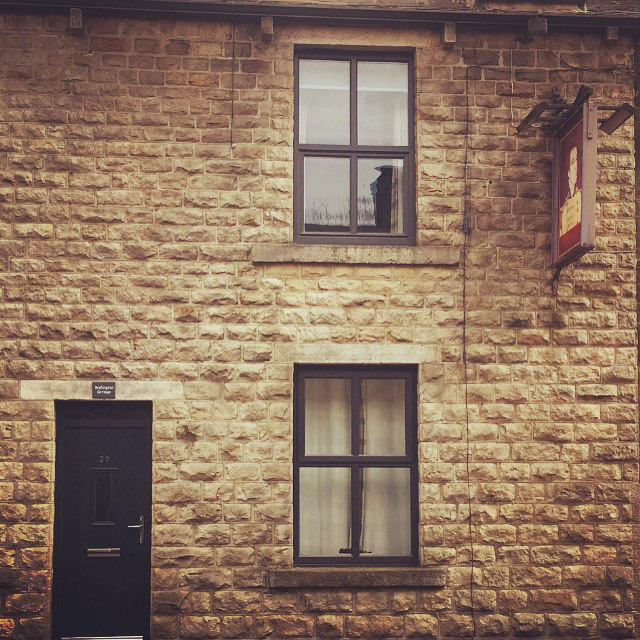 Free street parking can be found directly outside the property and throughout Greenfield.